The Pouilly-Fumé AOC wines have made Pouilly-sur-Loire famous for centuries. 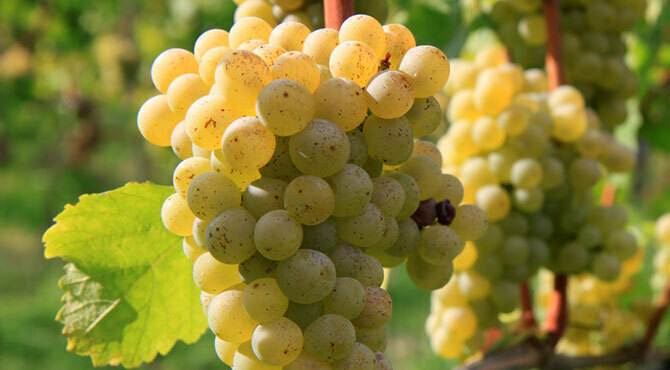 Dry white wines produced exclusively from Sauvignon Blanc, they are distinguished from other wines by their much deeper and intensely structured features. These wines of appellation AOC are produced around Pouilly-sur-Loire, in the Nièvre. The appellation of Pouilly-Fumé was acquired in 1937. The grapes of the Domaine de Saint-Andelain come from clay-limestone, clay-siliceous and portland limestone soil allowing them to reflect all the expression and quality of the Sauvignon Blanc grape variety.